Britt and Stacy met at the University of Georgia, and though Stacy studied abroad the following summer, they never stopped thinking of one another and met for drinks the night she returned. The two connected immediately and traveled together frequently while they were dating, including a backpacking trip through Europe. 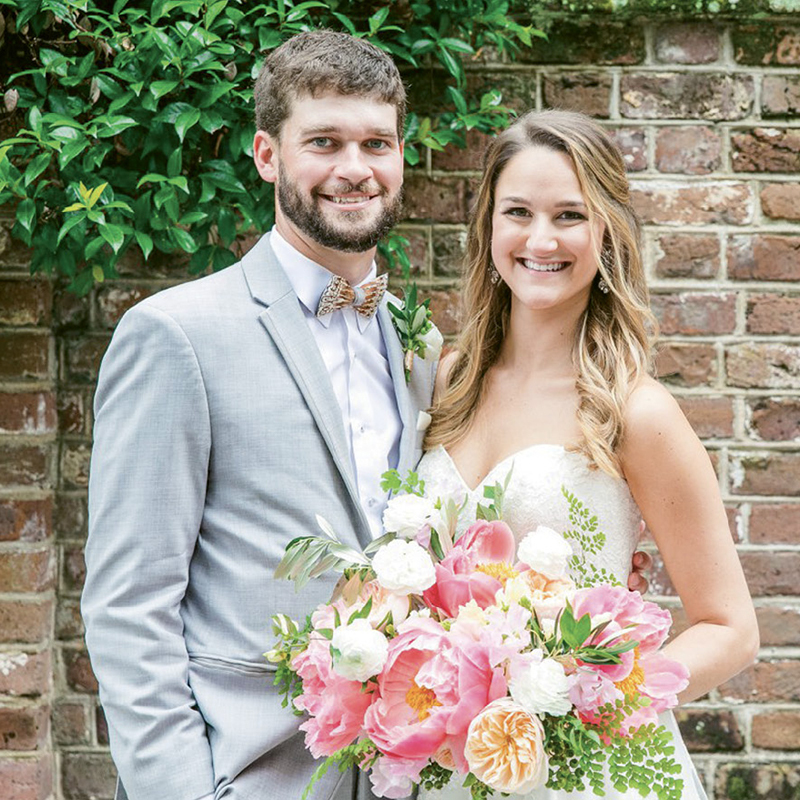 In 2017, Britt proposed at the Battery, and the couple exchanged vows the following June at the Gadsden House. The duo, a construction project manager and consultant at Boom Town, now live in West Ashley.